Firstly, I wish to sincerely thank those of you who have contact me directly expressing your interest to foster or adopt companion birds. I apologize for my long delay getting back to many of you. Don’t think for one moment that I ignored or have forgotten you- doesn’t time seem to fly?? I carefully read each one of your heartfelt and often sad emails where you have lost your beloved birds and hope to adopt more birds to fill your homes with bird love & flutter once more. I am overwhelmed with thousands of emails daily, whilst looking after tens of parrots myself 24/7, campaigning for bird welfare and the rest of the &*#@ life throws at many of us!! Please remember that I am NOT a breeder and DO NOT sell birds- in fact I am hoping to stop breeding and selling and birds in Australia with all of your support I ask. Those who wish to foster/adopt birds must be strictly NON BREEDERS & NON SELLERS. be able to financially afford maintenance and care of birds and have time available to be around birds during the day. For foster carers, I will be offering you FREE Bird Care & Behaviour advice along the way to support you anyhow I can. If you adopt birds, don’t worry, I don’t charge per minute- but I often ask if you can, to help our sanctuary anyway you can- no pressure of course. A general example of further criteria is on a great website from the USA- Beaks & Wings Inc.- please check it out FIRST to familiarise yourselves with just some of the criteria for fostering and adopting birds. Birds have the psychology and most often, same physiological health symptoms of a person. So having that in mind, do you blame me for wanting birds to be cared for in the most humane, respectful and loving environments? Especially as sadly, bird have been forced out of the wildlife into our homes? But we need to deal with the here and now- which means, how we can best make our feathered friends feel as naturally comfortable as possible in our homes and lives- as one of the family- and NOT as a decorative feature. Please be patient with me whilst I prepare a specific email with forms and details on how to Adopt & Foster Companion Birds. I thank you again, from my heart, for your love, compassion and empathy of our feathered angels. Want to foster/ adopt companion birds? STOP BREEDING AND SELLING BIRDS! PLEASE ADOPT BIRDS WHO ARE DESPERATE FOR LOVING HOMES INSTEAD! According to the Australian Bureau of Statistics, there are more companion birds than dogs or cats in Australia. And that is the latest statistic in 1994! Imagine how the bird numbers have increased since then to now in 2016! There are thousands of birds in Australia that are being traded and sold from adult and CHILD breeders directly, pet shops, bird shows, wildlife carers, YES, registered wildlife carers, private sellers eg on gumtree, facebook (bird pages pretending to look out for lost/stolen/found birds), markets, and house footpaths…..that urgently need foster care and/or adoption. Birds are being bred like rats (sorry to use that example). The ‘healthier breeding birds’ are kept till they are healthy enough to keep producing eggs/babies to be sold and traded. These birds then either die from stress, grief from losing their babies or just given away and kept in small cages where they live in devastating and depressing circumstances. Birds that do not breed or cannot breed are disregarded, sold, euthanised. They are of no financial use to the bird selling industry. Australians need to learn and finally acknowledge that companion birds are being constantly surrendered, released into the wild or euthanised, as their owners, for whatever reason, cannot care for the birds anymore. So, I am inviting genuine bird loving individuals to join me in saving birds and sharing their homes with birds that need love, attention, healthy foods and be provided medical attention when necessary. As a Bird Behaviourist and carer of birds for over 10 years, I will provide you with free bird behaviour advice and free bird care advice and constant support. You will be part of a group where we can all help and support eachother in learning about the best possible way to enrichen the lives of birds- for the bird’s sake- not for our EGO’s sake. 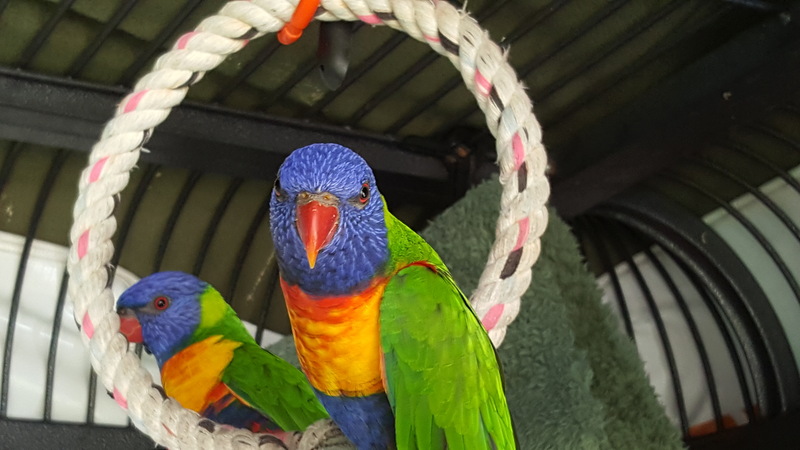 If you have the time, resources and appropriate indoor and outdoor environment to accommodate and welcome birds in your family, and you are ready to provide love and ethical care for birds, please email me at paris@letcompanionbirdsfly.com.au . I will soon upload further information to register for bird adoption/fostering. Please be patient with my replies to you as I am inundated daily with thousands of emails. You can always remind me you emailed me, but please don’t stalk me! Thanks for your empathy and compassion for birds.